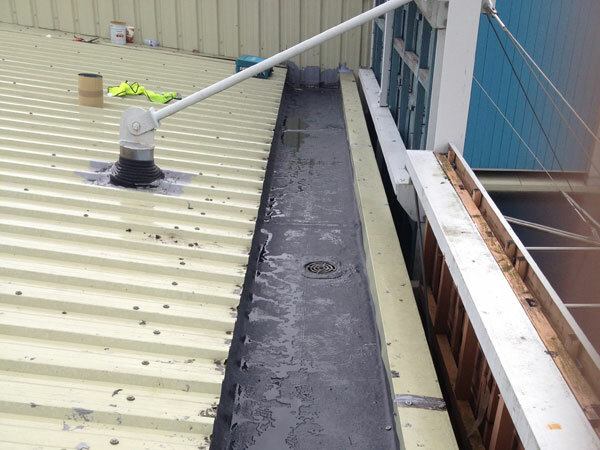 Hurricane Roofing Solutions are Industrial Gutter Lining specialists based in Huddersfield, West Yorkshire. 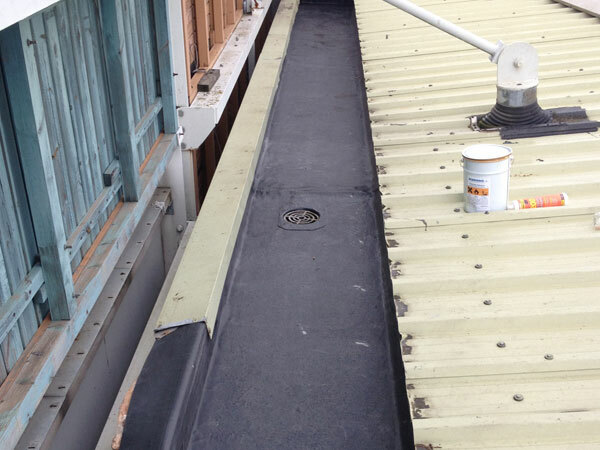 We carry out all types of gutter repairs including the application of coating systems and seamless liners to existing gutters on commercial and industrial premises. When you have water ingress into your property this is often down to blocked, cracked or rusted guttering. If not put right, this can lead to more damaging and expensive problems to the building structure and slowing or even stopping productivity within the property. We install a highly effective seamless gutter solution giving you problem free guttering for years to come. 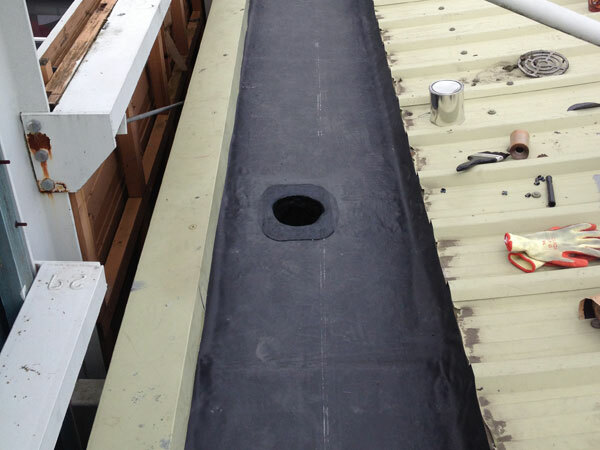 EPDM Rubber Membrane and Polyurethane liquid coatings are an ideal solution for gutter lining as they provide a seamless and joint free coating to the inside of the guttering making the gutter impervious to penetration from any standing water or water ingress. The coating adjusts to changes in temperature and is resistant to splitting or cracking providing a hardwearing, long lasting gutter lining solution. Due to the nature of the work, high-level access will be required, a full on-site inspection to assess the relevant means of access will be carried out, and we will also access full Health and Safety requirements. 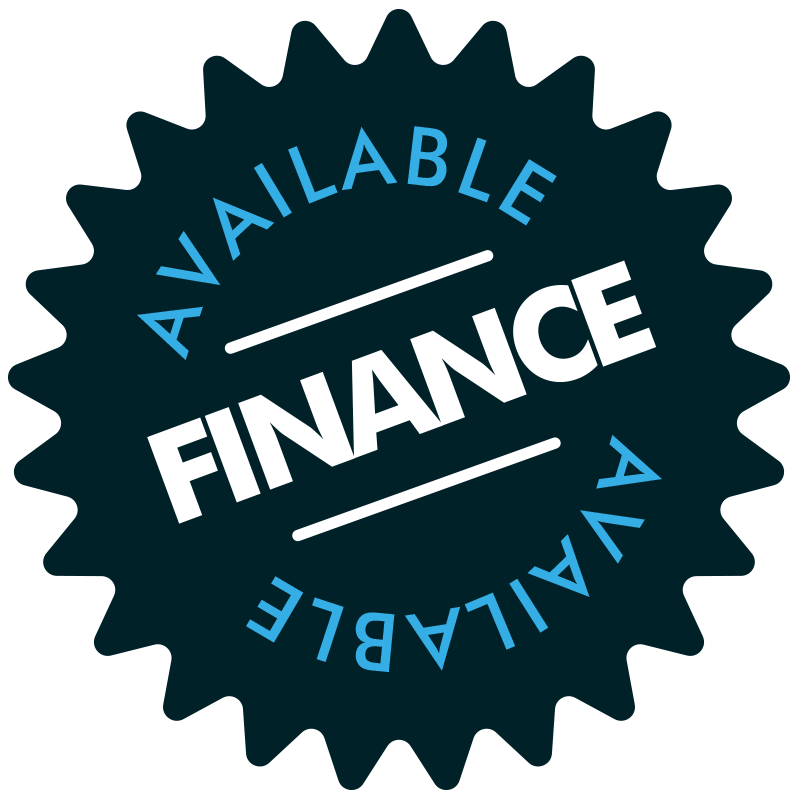 Occasionally there is a need to liaise with the relevant authorities such as the local Council or Highways agency to ensure all relevant permits are acquired and we take care of all this for you.